When I first moved to the city it took me a bit to realize how close everything was. Honestly, I grew up in a town that was an hour away from the nearest legit mall so setting foot here in Philadelphia was a whole new world. For the first time in my life it actually took longer to get ready for work than it did to get there. 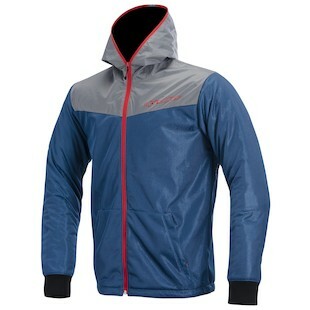 For times like this there is the Alpinestars Runner Air Jacket. While it is not made for long commutes on powerful bikes, the Runner Air is a good option if you are in the scooter crowd or riding your bicycle around town. At the lower speeds of the city streets, the lightweight mesh shell construction and fashion forward design keep your cool factor high in more ways than one. Though the defenses on this jacket are not heavy-duty by any means, CE rated bioarmor comes standard in the elbows and shoulders should you take a spill at low speeds. If your commute is minimal and your mode of transportation is not a rocket ship on two wheels, the Alpinestars Runner Air Jacket provides a super comfortable warm weather option with a relaxed style.